Red Mandarin essential oil is noted in France for being "the children's remedy", used much in the same way Roman Chamomile is suggested. Texts describe its use for both relieving stomach upset, and to sooth restless children (sometimes labeled 'hyperactive'). 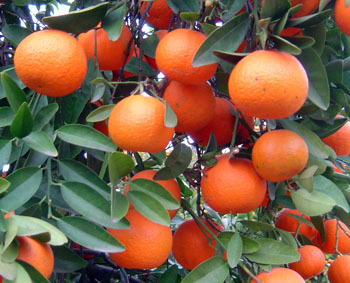 Kurt Schnaubelt notes in Advanced Aromatherapy that, "The scent of mandarin is as sweet as candy. The presence of the highly sedative anthranilic acid ester makes this oil the first choice for use with children suffering from anxiety, nervousness, or stress. Mandarin oil can be taken internally and can be used to freshen indoor air." Mandarin essential oil is considered a general tonic for the digestive system, and can aid in the breakdown of fats through the regulation of bile. The oil may be taken internally in small amounts (1-3 drops), or massaged into the belly in a carrier oil (try a 3-5% dilution; about 20-30 drops per ounce of carrier). Red Mandarin essential oil is also safe for use during pregnancy, and can actually be used in a massage blend for the prevention of stretch marks. You can even blend it in a carrier oil like Evening Primrose or Jojoba, and mix it with other essential oils such as Lavender and Neroli. Red Mandarin can also be used to help acne and overly-oily skin, and would make a wonderful addition to an adolescent skin care formula.